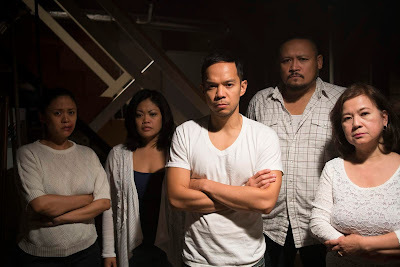 At a family gathering for the holidays, a few members of the Santos family decide to kill a particularly abusive member to make life better for everyone. Most families have problems, and some relationships are just toxic and unfixable. It could make life better and easier for everyone if said toxic family member was simply removed from the equation...how far would you go to remove a person like this from your life? "Bitter Melon" is written and directed by H.P. Mendoza, who has written and directed two other films called "I Am a Ghost" and "Fruit Fly." This film tells the story of the Santos family, and on this rare Christmas holiday, every member of the family is returning home to San Francisco. Moe (Brian Rivera) and Declan (Jon Norman Schneider), the oldest and youngest brothers, live in Philadelphia and New York City respectively. They each moved away and left most of their bad memories behind. The middle son, Troy (Patrick Epino), continues to live with his mom along with his wife Shelly (Theresa Navarro) and daughter Mina (Amelie Anima). Unlike his brothers, Troy has violent tendencies and is mentally, verbally, and physically abusive towards his wife, daughter, mother, and siblings. Everyone in the Santos clan is afraid of Troy, and everyone walks on eggshells around him, fearful he'll explode into a rage if they say or do the wrong thing. Tired of living in fear, Declan poses the idea that maybe the family's best course of action is to kill Troy for the betterment of everyone else. Nothing says "good old-fashioned family Christmas" like drunken arguments, childhood traumas, and the contemplation of homicide of family member! If this sentence doesn't sound like your cup of tea, "Bitter Melon" won't be for you. Luckily, it's our favorite flavor served in our favorite mug. This is a slightly askew dark comedy-drama that will have you laughing at things that probably shouldn't be funny, but you'll be laughing so hard that you'll barely notice you're guffawing at murder. This story contains a house full of flawed characters, though one, in particular, is much more problematic than the rest, and even he is not without his good qualities. Sure, you have to get rid of a lot of layers of bad stuff to find a glint of virtue, but the goodness is there. This is a modest, low-budget film directed by a relatively unknown director that stars an unheralded cast. 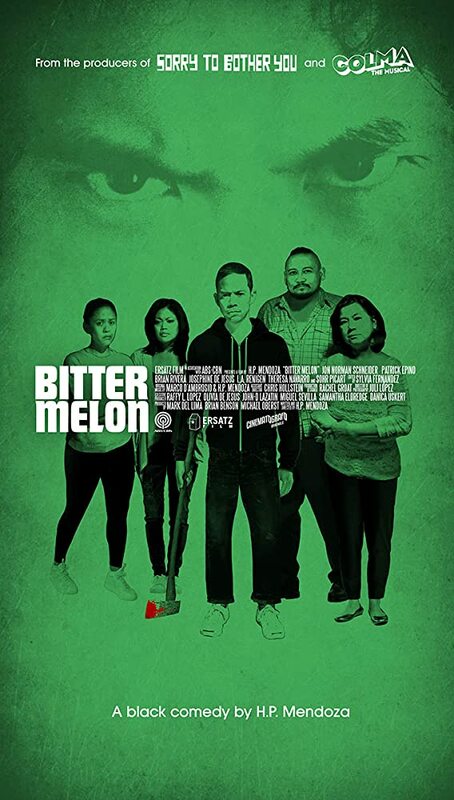 At the end of the day, it doesn't matter because "Bitter Melon" is a terrific movie that we loved watching. We think everyone in front of and behind the camera does a spectacular job. The acting and dialogue had us cracking up consistently from start to finish. H.P. Mendoza's script is so, so good. It offers a window into a culture and the lives of people we don't often see represented in Hollywood movie, which makes it even better. As we get to know each character individually during this stressful holiday situation, each of their gripes, their grudges, and their pains come out in a horrifically spectacular fashion. Seriously, this might be considered a horror movie in some circles based on the terrible Christmas gathering alone. Talk about a nightmare of catastrophic proportions! As secrets and long-held resentments start flowing freely, things only get worse as the trauma and repercussions of letting years worth of abuse slide come to a head with murderous intent. One could argue that the mix of comedy and drama might make this project a bit tonally uneven, but we think Mendoza is able to blend the two together extremely well. He clearly has a knack for storytelling and helps deliver a strong sense of what is supposed to be funny, touching, and/or tense. We really didn't know what to expect from "Bitter Melon," but we were blown away with how entertaining, deeply emotional, and darkly hilarious it was. 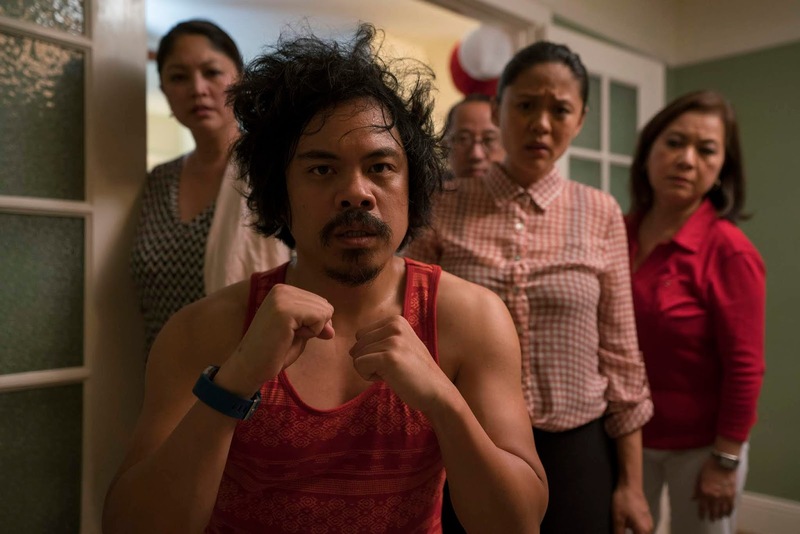 We had such a blast watching this film, and we owe it all to the San Diego Asian Film Festival for the opportunity to see this film where it may have otherwise gone under the radar.